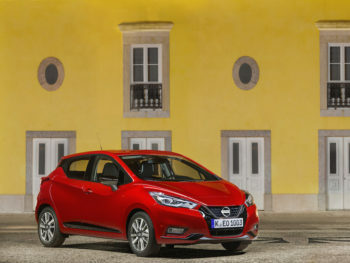 Nissan has revised its fifth-generation Micra for 2019 with two new petrol engines, a new N-Sport grade and a new automatic gearbox. On sale now, the line-up features two new petrol engines, including a new 100hp 1.0-litre IG-T 100 unit. Marking the engine’s debut for both Nissan and Alliance partners Renault and Mitsubishi, the new unit replaces the previous the 0.9-litre 90hp and brings a reduction of 13-15g/km of CO2 (emissions range from 103-105g/km NEDC Correlated) and improved fuel economy (which ranges from 6l/100km to 5.6l/100km WLTP combined, depending on grade) as well as increased torque and power compared to its predecessor. The unit is married up as standard to a five-speed manual gearbox but from February, it gets the option of a new Xtronic auto in line with forecast growth in demand for small automatics. In 2016, when Nissan launched the current Micra, automatics accounted for 12% of the overall segment sales mix. Industry sources forecast that figure will double in 2020 and reach more than 30% in 2022. The Xtronic model brings WLTP combined fuel of 6.31l/100km and NEDC Correlated CO2 of 111-115g/km. The range has also been updated with a new flagship DIG-T 117hp three-cylinder petrol. The engine is a completely different unit to the new 100hp petrol and has been developed by the Renault-Nissan-Mitsubishi Alliance in conjunction with Daimler, alongside the 1.3-litre petrol engine recently launched in the Nissan Qashqai crossover SUV. In the Micra, it’s teamed up with a six-speed manual gearbox and lowered ride height, revised suspension and sharper steering, and offers official NEDC Correlated CO2 of 114g/km and WLTP combined fuel of 5.9l/100km. It can also be specified with a new ‘warm hatch’ Micra N-Sport grade. Sitting at the top of the range to compete with rivals such as the Ford Fiesta ST Line, VW Polo R-Line, Peugeot 208 GT Line and SEAT Ibiza FR, the new trim features a number of technology and design updates and is available with all three new powertrains – the 1.0-litre IG-T 100hp in both manual and Xtronic guises plus the DIG-T 117hp manual. The new Micra powertrains are now on sale in Europe, joining the existing 1.0-litre 71hp naturally aspirated petrol engine and the 1.5-litre 90hp diesel engine, with the Xtronic available from February.